What is the gurantee policy on the Wheelbarrows? 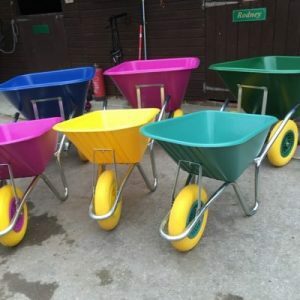 What is the gurantee policy on the Wheelbarrows?wbdcms-admin2017-01-01T16:25:53+00:00We offer 12 months as standard manufacturer warranty and as a family run business we are always happy to assist and be as flexible as possible. How big is a 160L wheelbarrow? How big is a 200L wheelbarrow ? 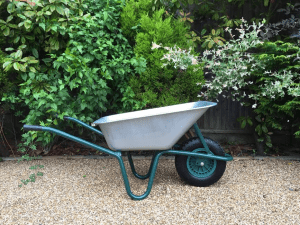 Are the wheelbarrows any good for building sites? 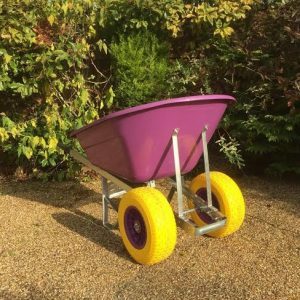 Are the wheelbarrows any good for building sites?wbdcms-admin2017-01-01T16:20:44+00:00Yes, they are strong and have nyon locking nuts and puncture proof tyres with bounce in the tyre so it can be bumped up kerbs. Our puncture proof tyres look like normal wheels and are the closest feel that you will get to a pneumatic wheel. We supply a broad range of customers from the building, landscaping and ground work industries and have always had impressive feedback on there use in this environment. Can the wheelbarrows be stored outside ? Can the wheelbarrows be stored outside ?William Yelding2017-08-30T18:20:51+00:00Yes all the wheelbarrows can be stored outside. Where do you deliver to?wbdcms-admin2017-01-01T16:13:15+00:00We deliver nationwide (England, Wales, Scotland), surcharges do apply for the highlands and off shore Islands. Please feel free to contact us for surcharge prices and any assistance you may need. 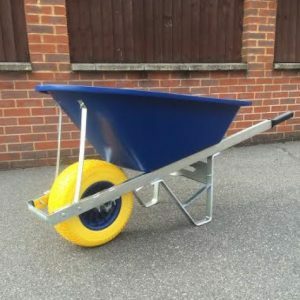 All our wheelbarrows are delivered fully assembled. What is the difference between puncture proof tyres and solid tyres ? What are Fatboy Wheels?wbdcms-admin2017-01-01T15:08:41+00:00They are purpose built to handle difficult terrains such as muddy ground or deep gravel. The Wider Wheel means there is less sinking in comparison to a standard wheel. They are made of rubber and foam filled and this modern technology provides an authentic look to a protective wheel. Why should i pick single wheel ?